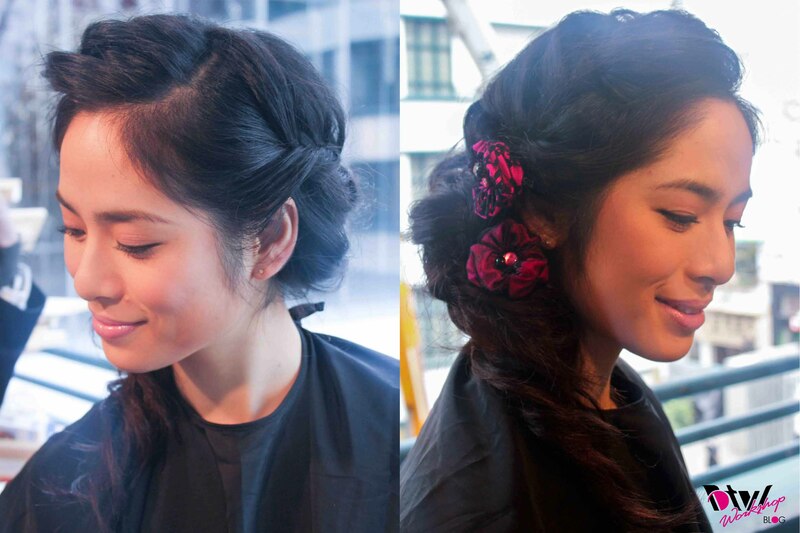 CUPIDS WORKSHOP DAY 1 – Learn to create the perfect feminine dinner date hairdo. 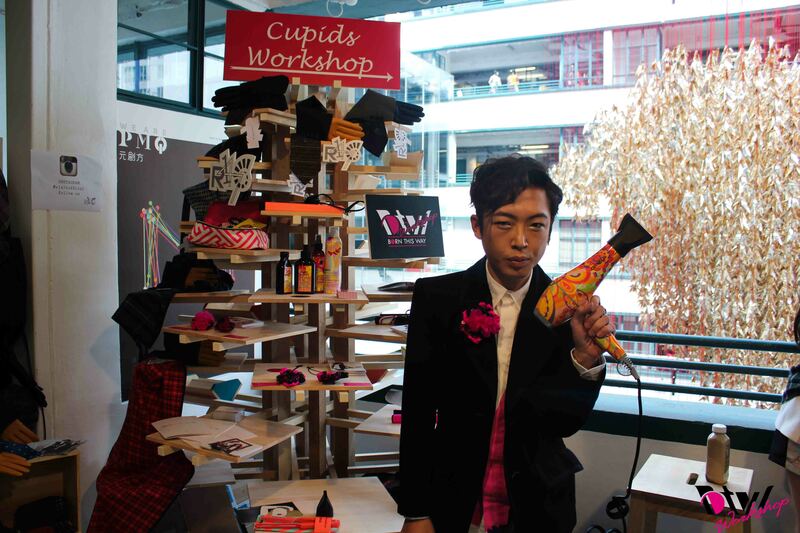 Valentines day may be over for this year but this year I had the honor to play cupid for fashionistas in Hong Kong. 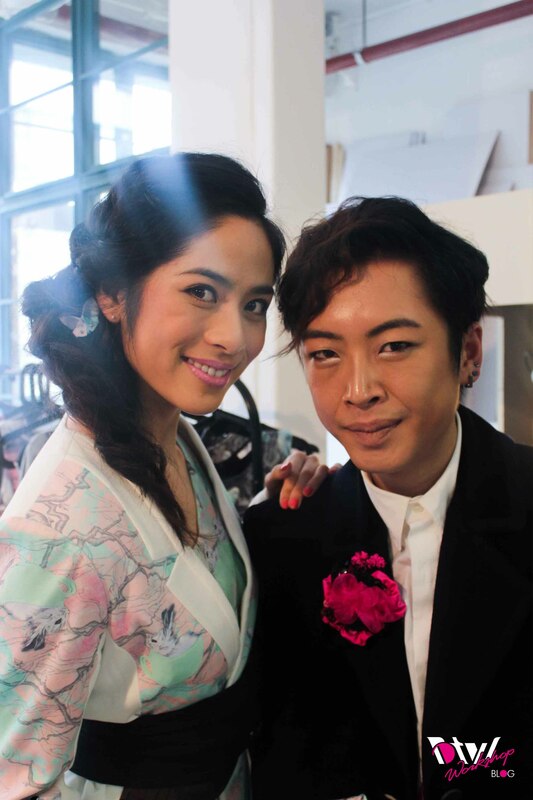 Ever since I became a fashion blogger I’ve always wanted to collaborate with Hong Kong fashion designers to bond hair with fashion. The idea began during happy hour drinks in the beginning of the year with my dear friends Walter and Jessica- founders of Hong Kong Fashion brand Blind By JW and there was a conversation with the stress to buy the perfect gift for Valentines Day. Working with that idea, we decided to do a 2 day Outdoor Workshop and Markets which promotes Hong Kong Design and targets fashionistas who needs to do last minute shopping for Valentines Day or Chinese New Year. 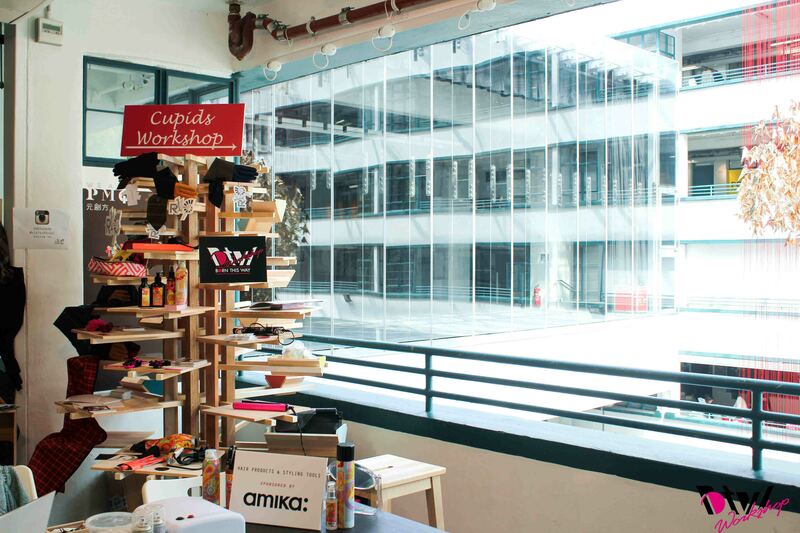 Cupids Workshop is an outdoor markets which features Hong Kong Design Brands – Blind by JW , R1476 , Pomch and BTW-Workshop at Hong Kong creative hub – PMQ . We are lucky to have the support from the stylish Hair care brand – AMIKA to sponsor us the latest Hair products and tools to use. Amika’s products are amazing because their mission is to provide products which create Healthy hair with the least amount of time using beautiful stylish printed product. 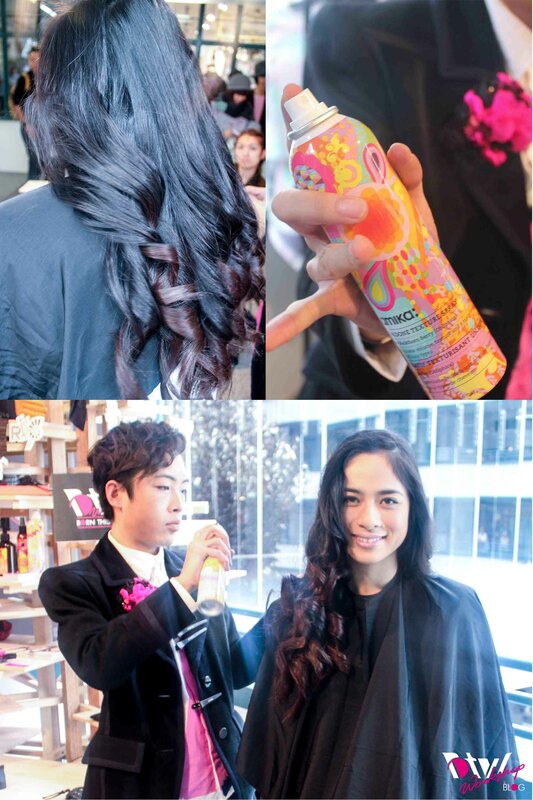 For BTW-Workshop I ‘ve decided to do a Hair Demonstration Workshop for a semi formal evening dinner date which features these amazing products by Amika. Without further Doodahs here is a step by step guide to My Hair Demonstration for Day 1 of Cupids Workshop. STEP 1 – Prep the hair by applying Amika’s Obliphica Heat Defense Serum with your hands and blow dry using The Power Cloud Pro Dryer in low heat setting. This provides a layer of heat protection to your hair from the hot styling tools we will use later on. 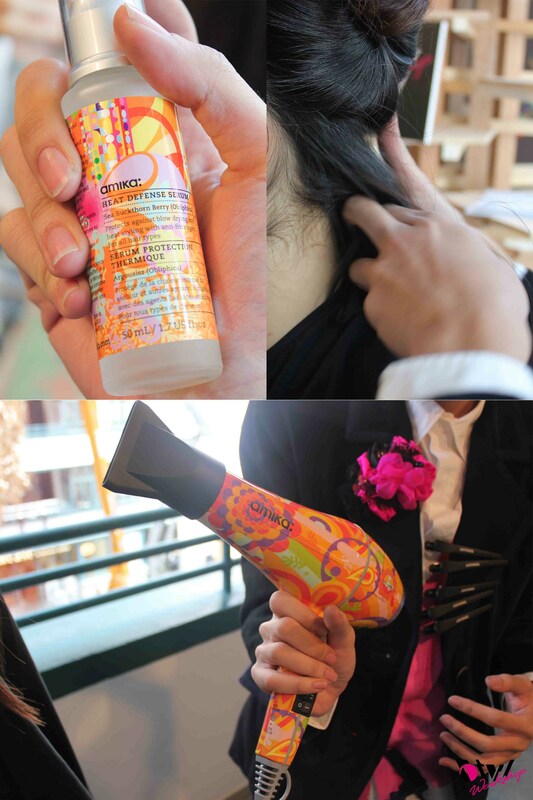 STEP 2 – In small sections apply Obliphica Blow Up Spray from roots to ends and blow dry using a round brush. This brings volume for your roots without the need to back comb the hair. 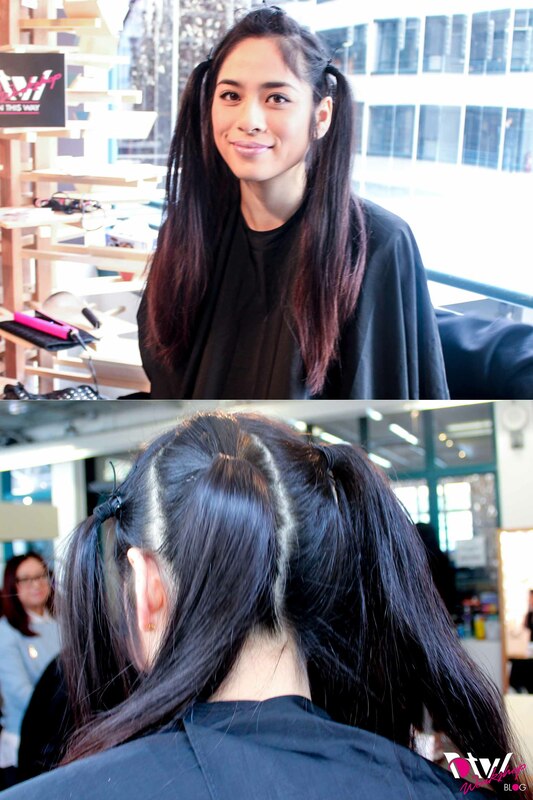 STEP 3 – Section the hair by tying the hair in 5 ponytails. 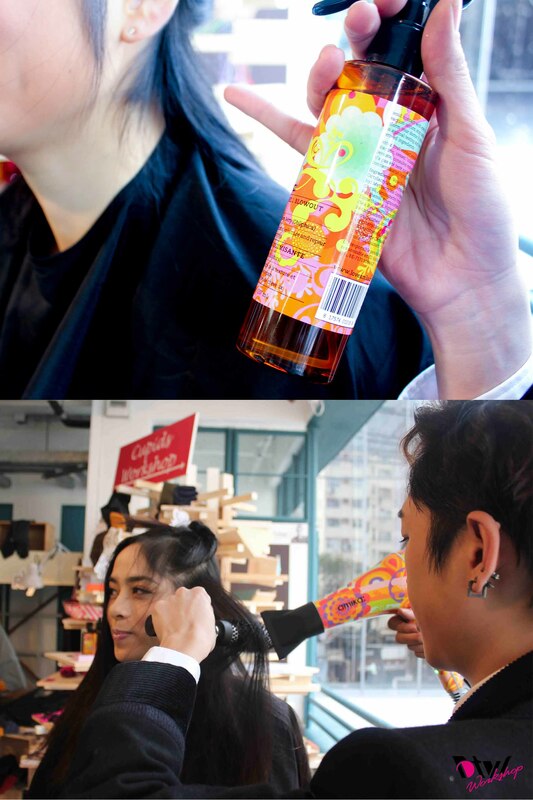 This helps us shorten the time we need for curling the hair especially for girls with super long and thick hair. If you don’t have alot of hair you can skip this step. 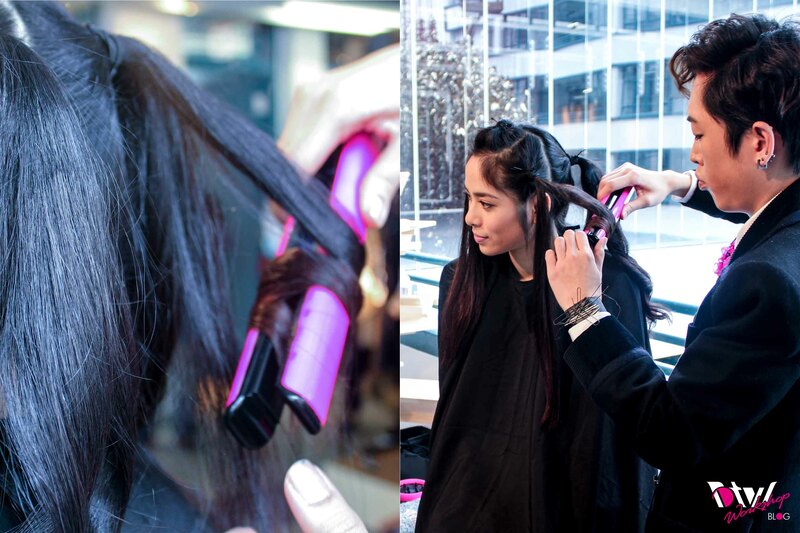 STEP 4 – To curl the hair using a flat iron, pull 1 inch section from one of the ponytails at the back. 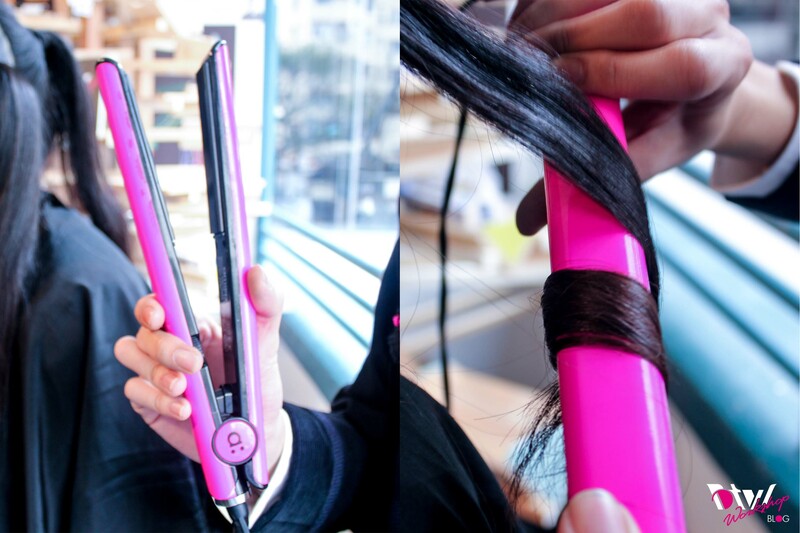 Using the Fusion Titanium Styler , slowly run the styler down the strand of hair, flipping and rotating the styler as you go. You may need to repeat this step several times depending on your hair type and how well you prepped your hair- Watch the official tutorial here. 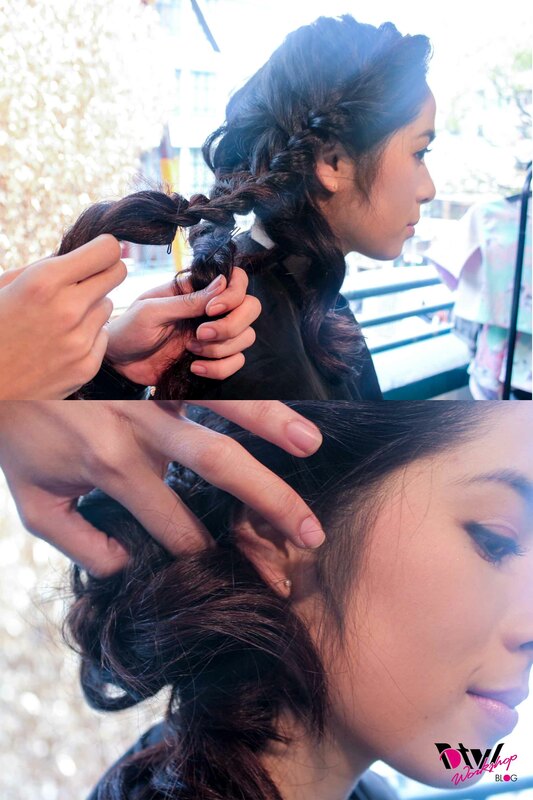 STEP 5 – Repeat this step until all the ponytails are curled. This may take time and practice for first timers. 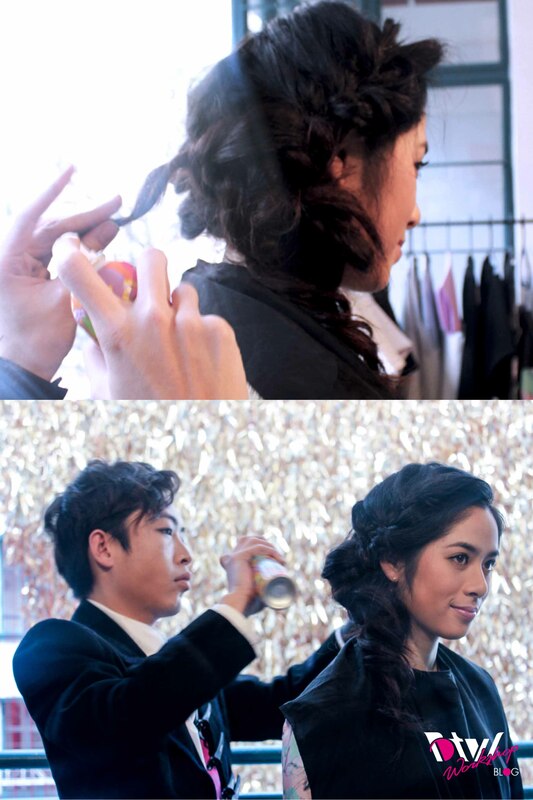 STEP 6– Release the ponytails and lightly spray the hair with the Undone Texture Hairspray. This holds the curls without making the hair too hard, making it easier to work with during styling. STEP 7– To create a messy braided side bun, take the section from the smaller side your side part to the top of the ear and create a diagonal french braid stop the other side stopping below the ear. Tie the ends with an elastic to create a mini ponytail. 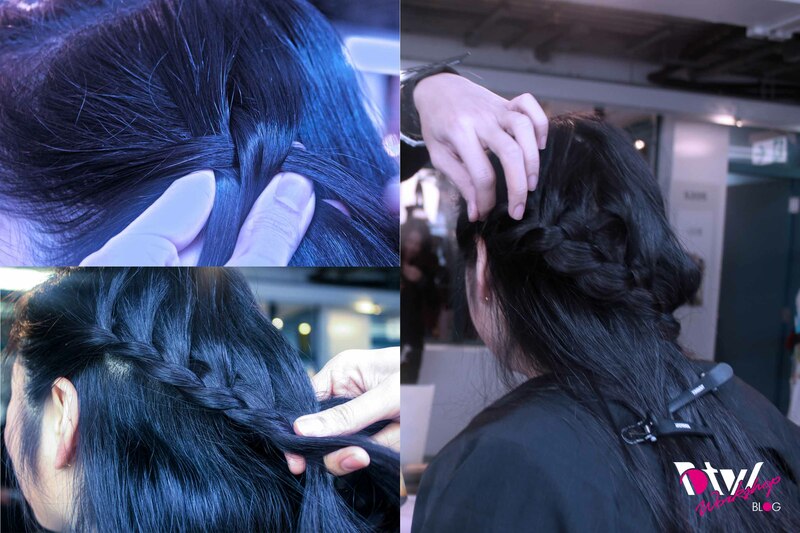 Make sure to loosely pull each strand out to make the look loose and fresh. 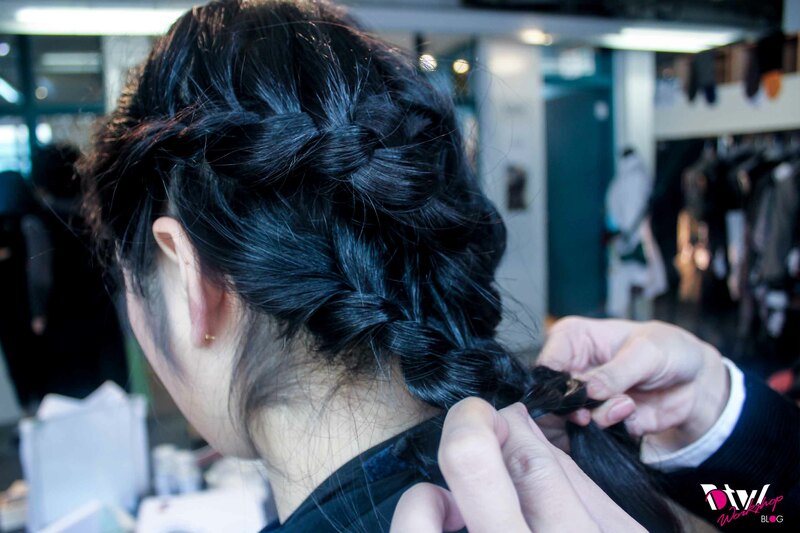 STEP 8– Create a loose french braid with the larger section of your parting , pulling out random strands as you go, this time braiding till the end. Secure the end with a bobby pin. STEP 9: Create a loose french braid with the remaining section of the hair. Secure the ends with a bobby pin. 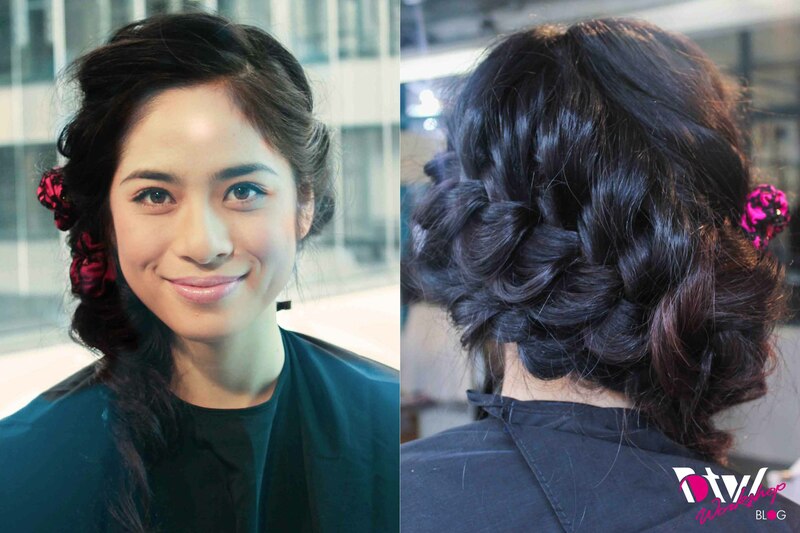 STEP 10: To create the bun, wrap the fringe braid and the back french braid around each other to combine them in to one. 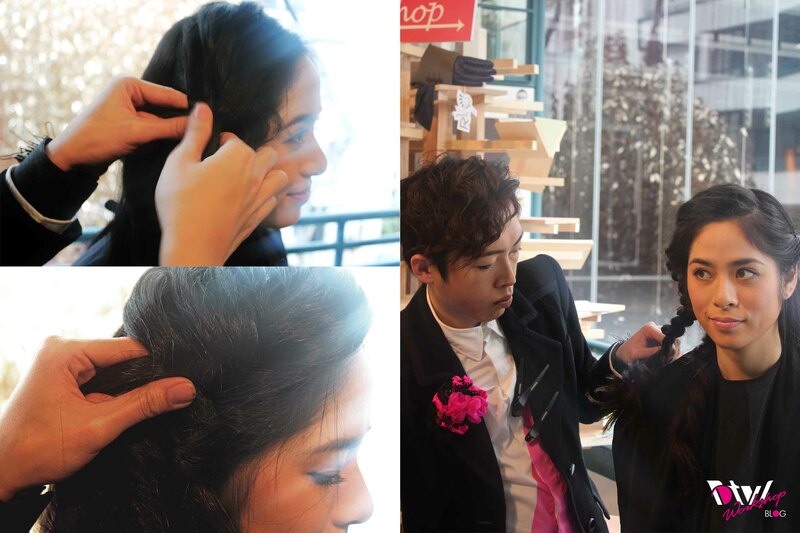 Loosely create a spiral effect pulling out strands of hair out randomly and place the bun on the nape of the neck. Secure with bobby pins. STEP 11: Finish off with Amika’s Touchable Finish Spray likely scrunching bits of curls and pulling random strands of hair out to create a messy yet romantic effect. 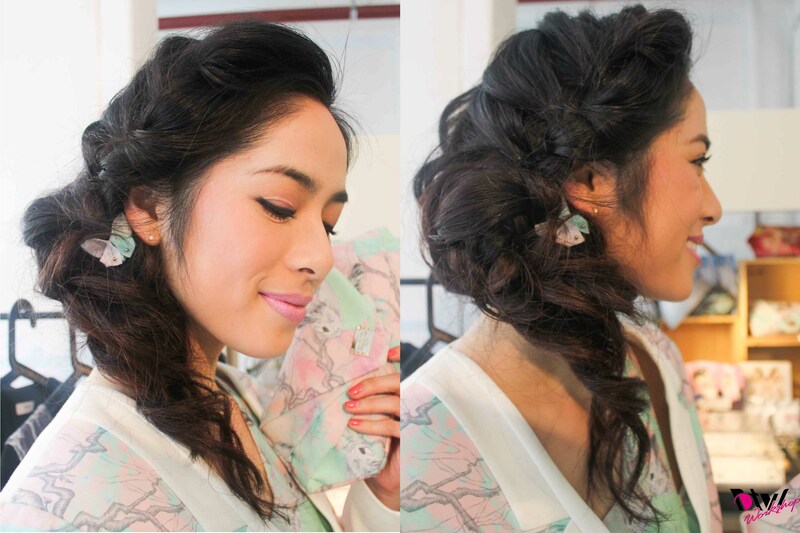 Dazzle off this hair style with your favourite hair accessory- Jasmine is wearing “Pins of Romance” hairclips from BTW-WORKSHOP X KOITE accessories collection. Once again special thanks to Amika for The Support with the amazing products and everyone from all the labels involved for this event. Also a big thank you to the most amazing model- my dear friend Jasmine for being our wonderful model during the workshop. Its such an honor being able to work with you again. Looking forward to working together soon. Thats it for now. For the latest updates of each of all the different brands involved, don’t forget to follow our facebook pages by clicking on the links above or follow the following Instagrams for instant updates. Sorry for much for such a long post. Feel like I need to make up for it since I’ve haven’t updated in a long time. Don’t forget to follow my personal instagram for my latest photo updates.